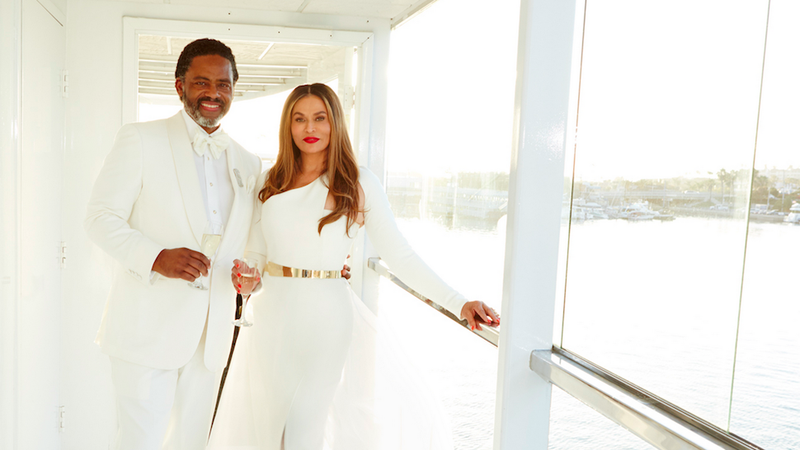 Tina Knowles, 61, and Richard Lawson, 67, were married on a 140-ft. yacht in Newport Beach, California, during the same weekend as some little festival called Coachella. The ceremony—which continued the all-white theme of Solange’s enviable New Orleans wedding—went down on Sunday, April 12, which makes sense. 4/12/15 = 31. And 3 + 1 = 4, Beyoncé’s magic number. Miss Tina is the life blood and energy source of the BeyHive kingdom. Lawson, a fox, is an actor who’s had roles on Dynasty and All My Children. According to a Jezebel grocery-shopping source, Lawson partakes in snack binging—“My bestie saw Mr. Tina in the supermarket last weekend in L.A. and his cart was full of dumb [“a lot of”] junk food,” says our source. The couple started dating in 2013. Lawson is now part of the Knowles-Carter coven. Beyoncé was in attendance, of course, having swapped her bohemian thrift ’Chella ’fit for a white lacy dress. She likely took a helicopter from Indio, California, to Newport Beach (a two-hour drive for mortals) for her mother’s nuptials. Jay Z, Blue Ivy, and Solange and her husband were there, too, per creepy TMZ pap shots. This surprise (to us) wedding is especially heartwarming given Tina’s struggles with dating after divorcing Beyoncé’s dad Mathew in 2011. Where? Well. She met one. She got one. She married one. He put a ring on it. She’s no single lady now. Now they’re crazy in love. Love on top. Flawless.